RIO DE JANEIRO, BRAZIL – For many fans of the NFL around the world, September means the beginning of another exciting season of American football. This year the Blue Agave in Ipanema is set to be a hub for watching the games, and on Thursday, September 8th they kick off the opening weekend by hosting the NFL Season Opening party with The Rio Times and partners, the Flamengo Futebol Americano and the American Society of Rio de Janeiro (AmSoc Rio). The NFL season opening game on Thursday features a Super Bowl rematch of Denver Broncos against the Carolina Panthers, image recreation. Watching the NFL in Rio has become a lot easier in recent years, with high-speed internet more available, and an increase in local Brazilian television coverage. However for many, there is no substitute for cheering on a game with friends at a friendly bar with plenty of food, drink and entertainment. Recognizing this, the Blue Agave in Ipanema has invested in the ability to not only play whatever games are showing locally (usually one on Sunday), but also – at the same time – stream any game direct from the United States with the NFL Game Pass package as well as an additional flat screen TV. Managing partner Alex Barwinski, who is an American expatriate from California, explained what expect at Thursday night’s NFL Season Opening party, “People should look forward to a fun filled night of sports and entertainment, [also] beer bucket specials, nachos and quesadillas, and half-prices shooters. Event partner, the Flamengo Futbol Americano club is also going turn up Thursday night. The rio-based American football club is ranked first in Brazil right now with the most points and without losing a game. Their star running back is American expatriate from North Carolina, Yolandus Pratt, who explains the sport has been quickly picking up in popularity with some teams be having over 50,000 people at the game. When it comes to watching the NFL, Pratt explains, “The best part about watching football with my friends is that I feel like I am back home in America, and it feel great to discuss a sport I have played all my life since I was five years old. […] One of the best things about football is that no matter who your team is at the end of the season all of us will be together to watch the Super Bowl. The Blue Agave in Ipanema during heir Super Bowl party in 2014, photo internet recreation. 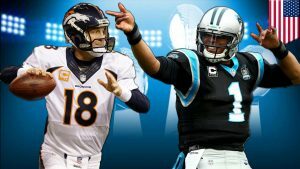 The game on Thursday starts at 9:30 PM local time and features Denver Broncos against the Carolina Panthers. Denver defeated Carolina 24-10 in Super Bowl 50 last February, and the 2016 season opener will be the first Super Bowl rematch on opening weekend since 1970. For the game on Thursday, it will be a big one for Mr. Pratt. “I am from High Point North Carolina, so my favorite team is the Carolina Panthers!” he said.